What’s more impressive than watching someone flip the switch on two million Christmas lights? Meteor showers aside, not much. 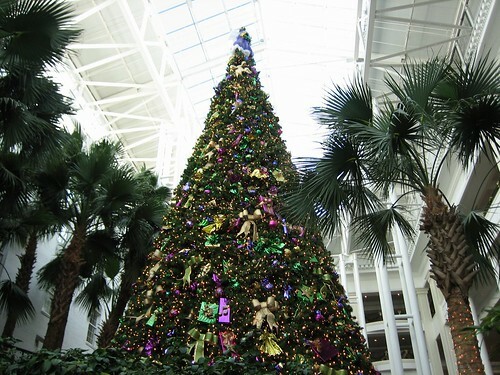 Opryland’s annual A Country Christmas celebration is coming up this Thursday, and one of the many highlights is the traditional Lighting Ceremony. Opryland’s Christmas light display is a Nashvillest winter staple, as a must-see spot for visiting friends, and gives us an excuse to play hide-and-seek get lost inside the massive property on a whim. A Country Christmas will be hosted by Montgomery Gentry and feature appearances by Paula Deen, Louise Mandrell, The Rockettes and Jeannie Schulz with Snoopy. The show is free and open to the public, and we might as well use this whole dark-at-5pm thing to our advantage. Christmas light show at 5:30pm is totally do-able!